Welcome to our kennel website! We started to breed the English Bulldogs in 2007. 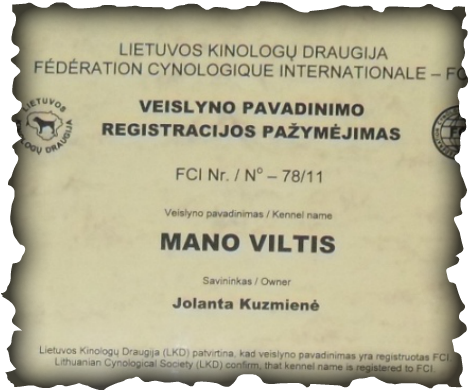 Our kennel name "MANO VILTIS" registered from Lithuanian Cynological Society (LKD) and Federation Cynologique Internationale (FCI) in 2011.